How will the media cope? 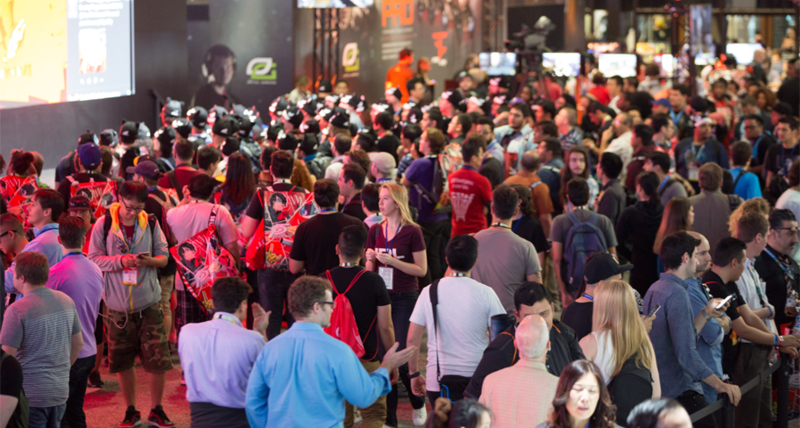 Trade shows like the Consumer Electronics Show and the Electronic Entertainment Expo (E3) may sound like a blast to attend but things aren’t always as they seem. From playing with the latest tech gadgets and being privy to AAA games before they’re announced during the day to partying it up in bucket list-worthy, $40,000 per night penthouse suites with views to die for, there’s no shortage of fun to be had at industry-only gatherings. Behind the glitz and glamour, however, is the reality of the fact that you’re in town to do a job. CES, for example, affords some 2.4 million square feet of exhibitor space for the 170,000 or so working professionals in attendance to utilize over the better part of a week (and that’s not including the countless number of companies that set up shop in hotel suites on the strip). Getting work done in a timely manner in that kind of environment is incredibly difficult, even with a well-planned schedule and a team of writers and photographers. The night life offers a bit of an escape but even then, you’re essentially still on the clock as the goal is to network, establish new relationships and so on (or at least, that should be your primary focus at parties). After all, it’s often not what you know but who you know. Getting your foot in the door is much easier to do in person but I digress. All of the chaos aside, what makes trade shows like these worthwhile and even remotely bearable is that everyone has a vested interest. From suppliers and vendors to startups and media, everyone involved is there to conduct business. Perhaps now, it’s a bit easier to understand why event organizers have traditionally restricted access to working professionals. As Bob Dylan said way back in 1964, however, the times, they are a-changin’. The Entertainment Software Association, the group that organizes E3, hosted a gathering for fans last year alongside the actual conference. Unfortunately, E3 Live was a total flop. Rather than try their luck again, the association for 2017 has elected to sell a batch of 15,000 tickets that’ll grant fans access to the actual E3 show floor, panel discussions and more. This is great news for fans and exhibitors as well as the governing body behind the show. Tickets will be priced at $250 a pop (or $150 for early birds) which will likely net around $3 million excluding concessions, merchandise sales and whatnot. It may also help lure back some big names such as Activision and EA, both of which pulled out of last year’s show. How it will impact the media’s ability to do its job, however, remains to be seen. If there’s a lot of pushback from reporters after the fact, it could very well go down as the first and last E3 open to the public. E3 2017 runs from June 13-15 at the Los Angeles Convention Center. Tickets go on sale February 13 with more details to come in the weeks ahead.